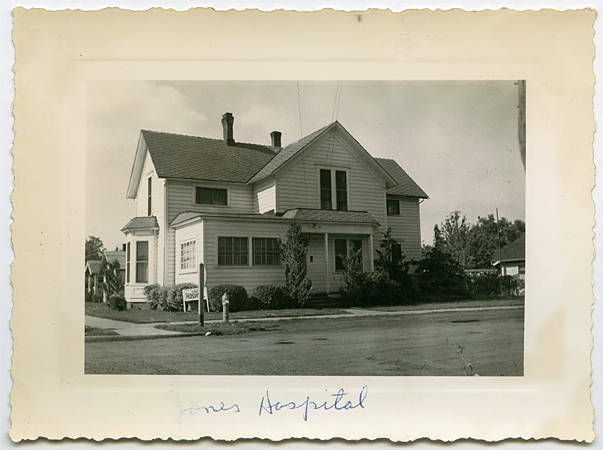 Photo of the Jones Hospital in Hillsboro, which later became the Tuality Community Hospital. This building was the second iteration of the hospital, which sat between on Seventh between Baseline and Oak in Hillsboro, and housed 18 beds. This building was used from 1920 to 1940.